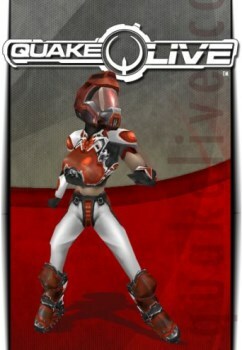 Here's everything you ever wanted to know about Quake Live's transition to a standalone client, but were afraid to ask. I have this vague recollection of Quake Live's big hook being a full-on multiplayer shooter - Quake 3 Arena - playable entirely in a browser, which was a pretty big thing in its day. But that day was five years ago and apparently priorities have changed, as the browser is out and a Quake Live standalone client is in. Id revealed that the transition was coming back in November 2013 and today announced that the magic has happened, and was also nice enough to post an FAQ covering the details for those who have questions. The short version is that you now must use the standalone client, third-party software is no longer compatible and Mac and Linux are out, although you might be able to make something work through emulation. The game will remain free-to-play with optional Premium and Pro monthly subscriptions and player profiles and stats will, or at least should, transition automatically. But one question the FAQ doesn't cover is, does anyone care? I ask this sincerely; I have no idea what kind of numbers Quake Live puts up but I assume that whatever success it enjoyed had to be due at least in part to its browser-based convenience. Is Quake Live - which is effectively almost 15 years old - still sufficiently relevant to make a stand-alone client worthwhile to a meaningful number of players? I guess we'll find out!